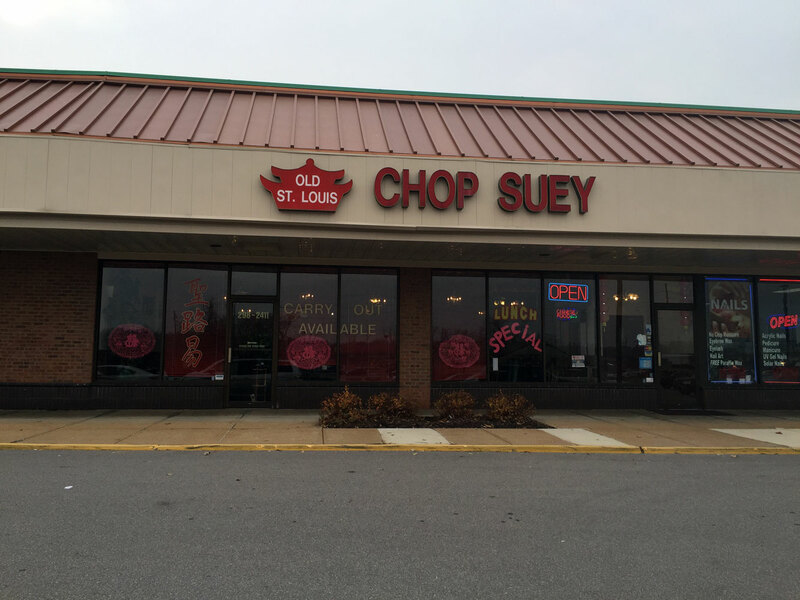 You can find Old St Louis Chop Suey at 12454 Saint Charles Rock Rd, Bridgeton, MO 63044 near the Lambert International Airport and right of the St Charles Rock Rd exit from I270. The restaurant is in the middle of a shopping center and is fairly distinctive - park in the lot out front. 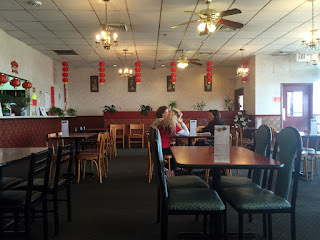 This is an old-school "swag" Chinese restaurant - your basic Americanized Chinese cuisine. 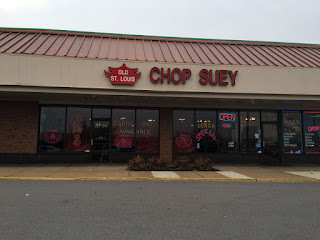 We stopped on the way to my flight out of St Louis with the promise that this place was super fast and indeed the time between ordering and food-on-the-table was just a few minutes. I believe the owner or at least the guy being the small ordering window, was Vietnamese and like so many before him, he's got a restaurant featuring food outside of his own culture. The restaurant's interior isn't much to write home about - very simple with rows of tables and just a few Chinese accents. 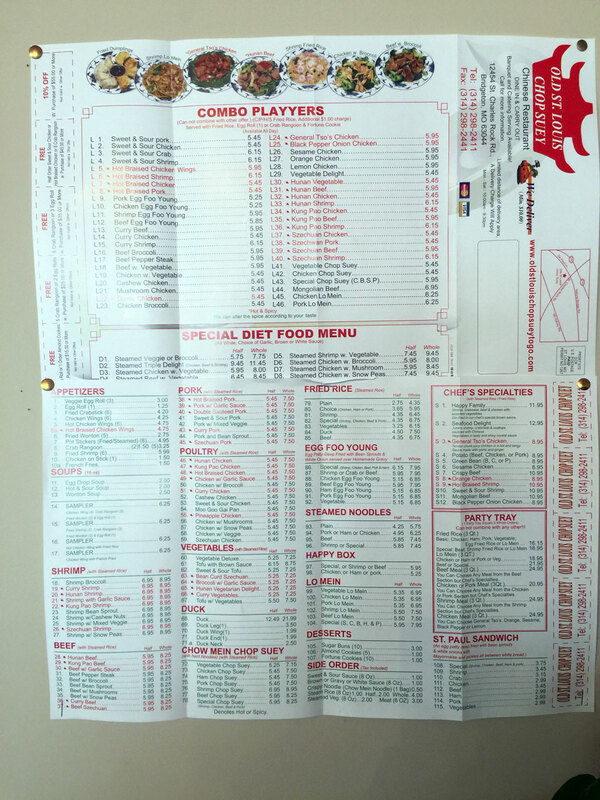 Menu items include all the usual Chinese you find in similar restaurants all across the US. 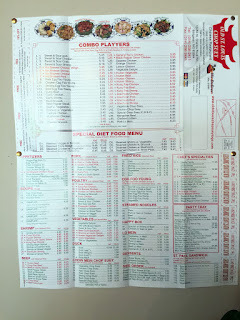 Prices were super, super reasonable with most "Combo Playyers" ranging between $5.45 and $6.15 and the chef specials between $8.95 and 12.95 (Seafood Delight). 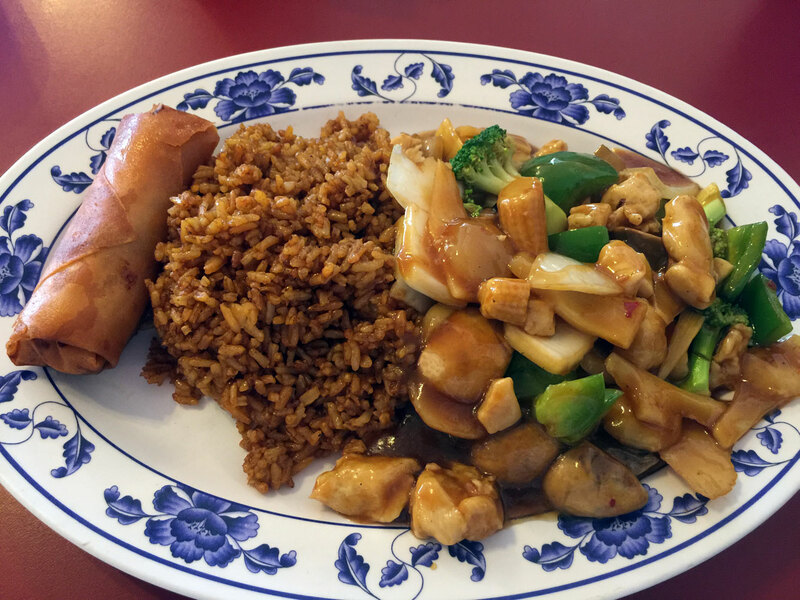 My only complaint is that there weren't any Vietnamese dishes included as that cuisine is one of my favorites. I ordered the Hunan Chicken - it came on a platter with an inverted bowl of fried rice and an egg roll. The ingredients were quite fresh, if a little lacking in heat/spice. The food was quite palatable and it worked well with the hour-long upcoming flight. Service was done by the same guy behind the counter - not surprising and typical of these mom-and-pop type restaurants - the guy was quite pleasant, answering all our questions and delivering our food quickly - in all, quite good.